Good Morning traders…NO three bar triangle breakouts for Thursday! FOMC and previous day’s volatility took care of just about every market. However, morning economic numbers do include Unemployment Claims. Wednesday’s upside rally was climatic. Any last shorts from the prior high put call readings most likely have been squeezed out, taking away fuel for the fire. 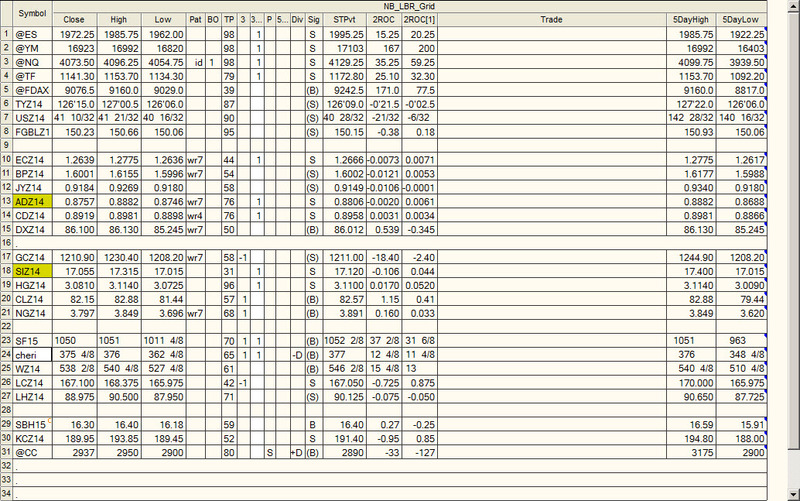 Market Breadth indicators as well as the 5 day Closing Tick are at the upper end of their range. 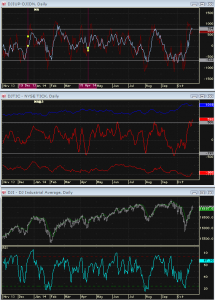 The short term summation tick is overbought as well. 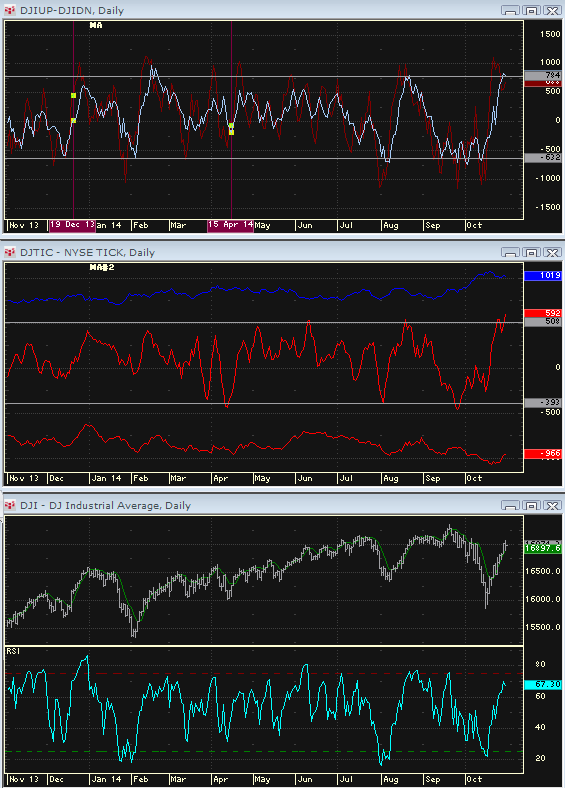 Only the RSI on the daily DOW is is shy of the levels indicating overbought in the past. 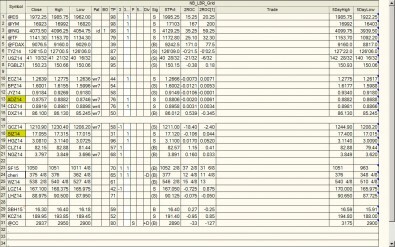 A summary of these indicators is posted above. For Thursday the market closed with support at the 30/60 minute EMA on the Russell, the RS leader from Wednesday. However, this is coming at the top of an extended rise. The market clearly showed resistance levels with Highs made FIRST. 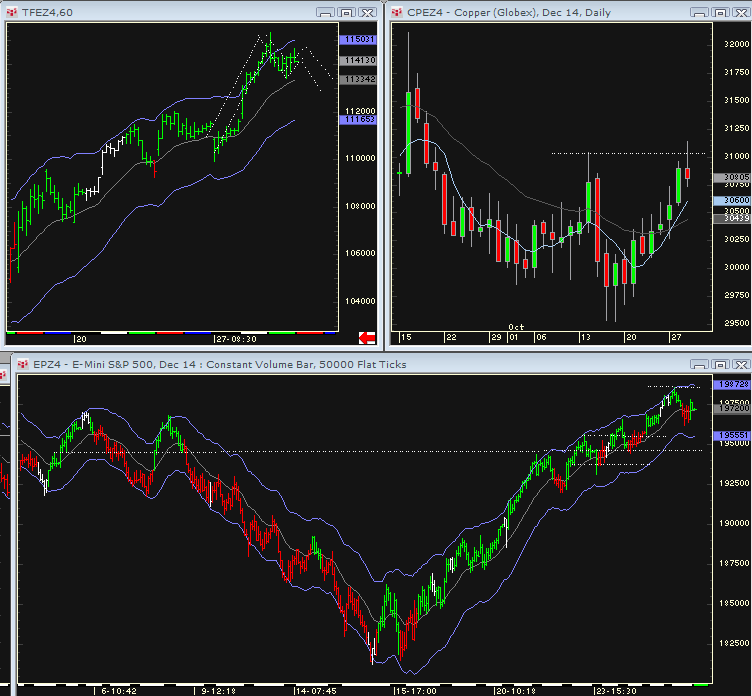 Look to SHORT a lower high on the 30 minute charts, or, can use the 60K tick chart posted above as a roadmap. often the market consolidates in a A-B C fashion after several simple bull flags. This is what I am looking for on the 30 minute chart. If the SPs take out Wednesday’s low of 1962, several levels to the downside are marked off on the 60K tick chart. 1975.25, then 1979.25 are the main reference points to the upside. If SPs take out the 1962 low, there is an unfilled gap that can come into play basis the Pit session. $ index – weekly charts may have consoldiated enough. Copper – Turtle Soup Sell. Bonds – bit of bear trap below 141’07 reference point. This level can come into play again on Thursday though. Nat Gas closed back below the 5 day high. CD closed back below the previous 5 day high. 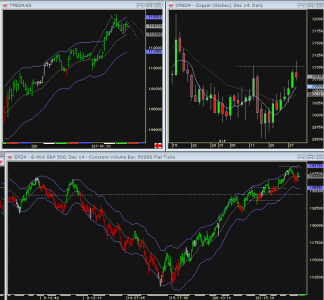 AD – big picture Power Sell Structure…..All the grains have now made it back up to the weekly EMA.